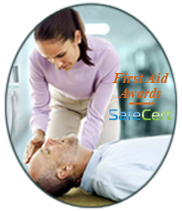 First Aid Essentials is a qualification which is specifically designed for those who are involved in many activities, including Schools, Duke of Edinburgh, Scouts, Youth First Aid, Sports and public first aid. This award covers the basics such as First Aid Essentials, but many other conditions ranging from CPR, Bleeding to broken bones and asthma. This award is usually completed in minimum of 6 hours teaching and has one unit. The first unit is Emergency First Aid which covers as the name sugjests the essential in first aid. This very practical course will enable your learners from age 14 upwards to be competent in essential first aid. The qualification is valid for 3 years and all learners will be assessed for their practical skills as well as their knowledge in the form of a multiple choice question paper. 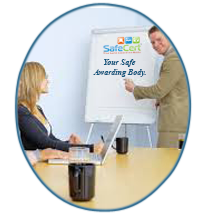 Awarding Body for First Aid at Work and Health and Safety Qualifications.